2.17 inches / 55mm long rail. 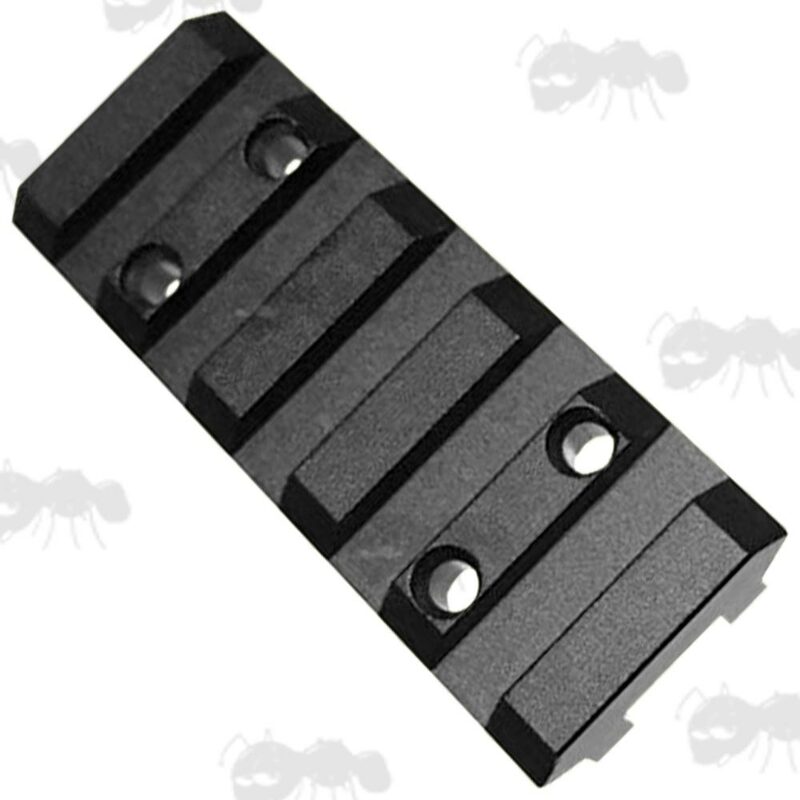 For vented shotgun ribs up to 8.2mm wide. Designed for mini reflex / collimator sights. Only suitable for sights weighing up to 400 grams. With two plates for fitting through the vented rib and side grub screws for finer adjustment. Allen keys and fittings includes. 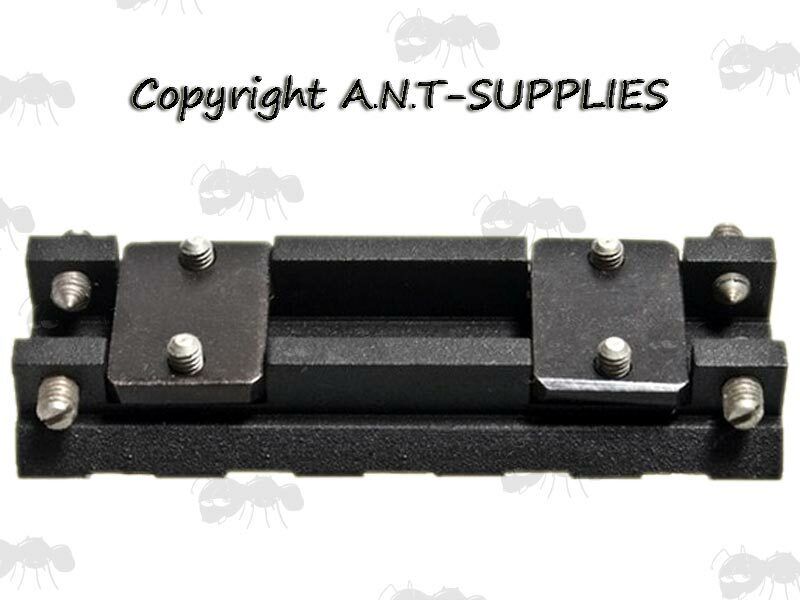 Quick to fit and provides a secure 20mm picatinny / weaver top sight rail. Fitting the rail will block the use of the fitted open sight. 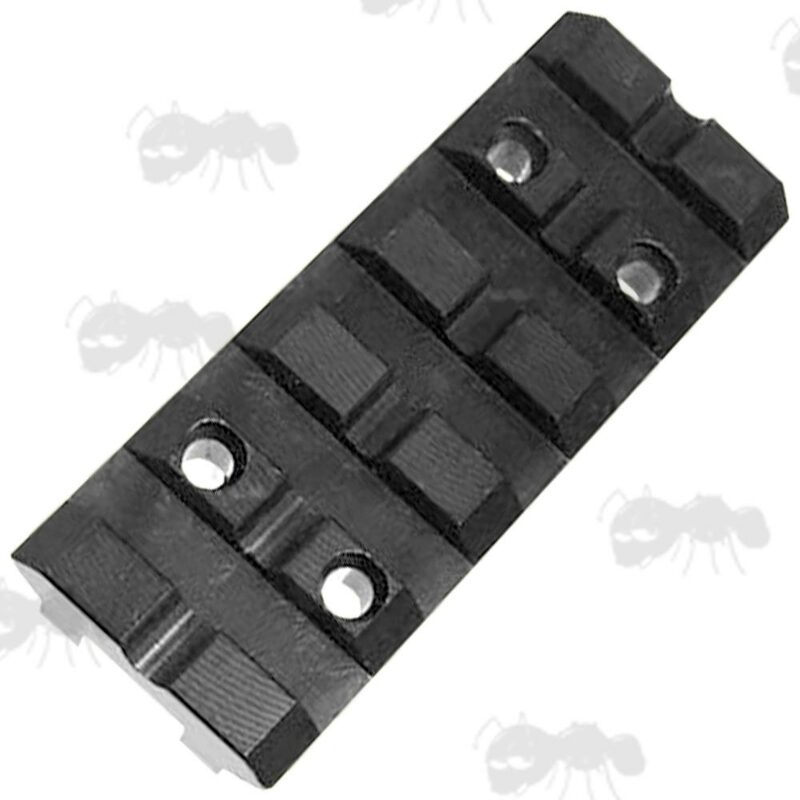 Also available ~ Weaver Rail to Shotgun Rib Adapters.